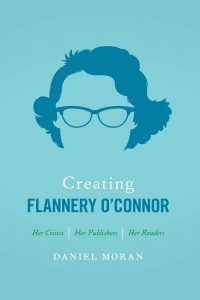 We talk to Daniel Moran about his new book Creating Flannery O’Connor, which examines her critics, publishers and readers. For those of you who missed Rebecca Wells at the Louisiana Book Festival last weekend, we have a recap of her packed appearance and lots of video. Atlanta Chef Asha Gomez shares a recipe for Puffy Ginger Hoecakes from her new cookbook My Two Souths. Read our review of The Education of Dixie Dupree, a November Indie Pick and one of our fall/winter reads. Variety has announced that Jennifer Lawrence will star in a biopic about famous Jazz Age socialite Zelda Fitzgerald. 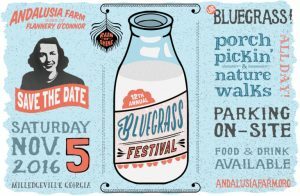 Andalusia Farm’s 12th Annual Blue Grass Festival will be held on Saturday at the former home of Flannery O’Connor in Milledgeville, Georgia. Bret Anthony Johnston will read from his work on November 7 at the University of Tennessee, Knoxville, as part of the Writers in the Library series.